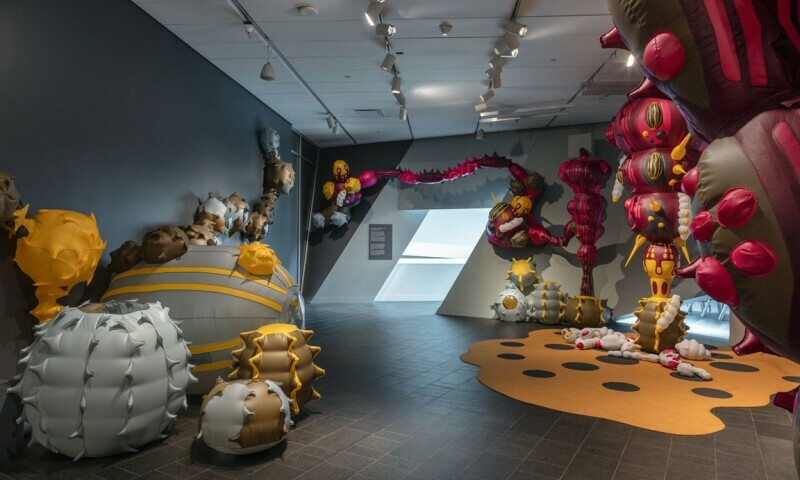 Nicole Anona Banowetz, installation view of The Incubation Effect at the Denver Art Museum, 2018. Inspired by the natural world, Nicole Anona Banowetz has created a playful, larger-than-life insect nursery made from sewn inflatable sculptures and assembled forms. The Denver artist says, “I want the audience to forget that the work is art for a moment and have the sort of pure interaction they would have in nature.” Visitors of all ages can walk among the cocoons and larvae, immerse themselves, contribute to the life cycle of the nursery by designing their own creature and then come back to see the installation evolve over the course of the year.